Acar, Gülcan, 2004. Nemrud, Öncü Basımevi, Ankara. Akçura, N., 1987. (1987) Kültürel Değerlerin Korunması Konusunda Yasal Kaynaklar. Ankara: Mimeo, Faculty of Architecture, Middle East Technical University, Asar-I Atika Nizamnamesinin özgün metni için bk. Sf: 115-118. Akdeniz, A., 2003, Ankara Ü. Yüksek Lisans Tezi, Güneydoğu Anadolu Bölgesi’nin Depremselliği, Kabuk ve Üst Manto Yapısı ve Deprem Riskinin İncelenmesi. Aktas, Y.D, Turer, A., 2007. Preliminary Structural Monitoring and 3D Modeling of Nemrud Monuments, Turkey. "SHH07 – STUDIES on HISTORICAL HERITAGE", (2007). Akın, Nur, 1993., “Osman Hamdi Bey, Asarı-ı Atika Nizamnamesi ve Dönemin Koruma Anlayışı Üzerine”, Osman Hamdi Bey ve Dönemi Sempozyumu, 17-18 Aralık 1992, Tarih Vakfı, Altna Matbaası, İstanbul, sf: 233-239. Akurgal, Merkelback, Şahin and Vetters., 1991a, “Kommagene Araştırmaları I: Epigrafica Anatolica, ss:99-132. Ambers, J. and Freestone, I.C., 2005, Chapter 1 Introduction, in the book: Raman Spectroscopy in Archaeology and Art History edited by H.G.M. Edwards and J.M. Chalmers, series editor: Neil W. Barnett; sf. 3-16. Ambrossi, M., Dei, L., Giorgi, R., Neto, C., Baglioni, P., 2001, Colloidal Particles of Ca(OH)2 Properties and Applications to Restoration of Frescoes, Langmuir, 17, 4251-4255. Anderson, J. G. C., 1922. “Pompey’s Campaign Against Mithridates”, JRS12, ss: 99-105. Arrianos, Flavius, (Turkish trans.) 2005. İskender’in Seferi (Aleksandrou Anabasis), Çev. Furkan Akderin, Alfa Basım Yayım Dağıtım, İstanbul. Appianos, 1955. Historia Romana, ed. H. White (Loeb), London. ASTM, 1990, Standard test method for soundness of aggregates by the use of sodium sulphate or magnesium sulphate, C88, Annual Book of ASTM Standards, American Society for Testing and Materials, West Conshocken, PA., 37-41. ASTM, 1992, Standard test method for evaluation of durability of rock for erosion control under wetting and drying conditions, D5313, Annual Book of ASTM Standards, American Society for Testing and Materials, West Conshocken, PA., 1347-1348. Babylonian and Assyrian Literature, 2004. Kessinger Publishers. Barnes, A., Sapsford, D.,J., Dey, M., Williams, K.P., 2009, Heterogeneous Fe (II) Oxidation and Zetapotential, Journal of Geochemical Exploration, 100, (2009), sf. 192-198. Başgelen, Nezih, 1998. Tanrılar Dağı Nemrut / Mountain of the Gods, Arkeoloji ve Sanat Yayınları, İstanbul. Başgelen, Nezih, 2003. Nemrut Dağı, Keşfi, Kazıları, Anıtları, Tanrılar Dağı Nemrut / Mountain of the Gods, Arkeoloji ve Sanat Yayınları, İstanbul. Bedoukian, Paul, 1983. “Coinage of The Armenian Kingdoms of Sophone and Commagene”, ANS, Museum Notes 28, ss:71-88. Benk, Adnan, 1986. Büyük Larousse Sözlük ve Ansiklopedi, Cilt 21, İstanbul. Bildiren, M., Günal-Türkmenoğlu, A., Tinçer, T., 2009, Katı Atık Sahalarında Atık Su Geçirimliliğini Azaltmaya Yönelik Kil-Polimer Nanokompozit Üretimi, 14. Ulusal Kil Sempozyumu Bilidiriler Kitabı, sf. 749-765, 1-3 Ekim 2009, KTÜ, Trabzon, Türkiye. Brijder ve Moormann, report in three volumes attached to the work authorization demand to the Ministry of Culture and Tourism dated 9 December 2004. B.Ü., 2007, Latest earthquake activities in Turkey recorded in Boğaziçi University, Kandilli Observatory and Earthquake Research Institute. Başgelen, N., 2000. Havadan Nemrut, Arkeoloji ve Sanat Yayınları, İstanbul, 2000. Caner, E., 2011. Limestone Decay in Historic Monuments and Consolidation with nanodis­persive Calcium Hydroxide Solutions (unpublished PhD Thesis Middle East Technical University Ankara 2011). Carrol, D., 1974, Clay Minerals: A guide to Their X-Ray Identification, The geological Society of America, Special Paper 126.sf. 85. Charlesworth, M.P., 1924. Trade Routes and Commerce of The Roman Empire, Oxford. Colomban, P., Cherifi, S., and Despert, G., 2008, Raman Identification of Corrosion Products on Automotive Galvanized Steel Sheets, J. Raman Spectroscopy 2008, 39, sf. 881-886. Colledge, Malcolm, A. R., 1992. “Reviewed Works: Die Kommagenischen Kultreformen unter König Mithradates I Kallinikos und seinem Sohne Antiochos I By Helmut Waldmann”,Classical Works, Vol: 25, No: 2, ss:323-324. Comer, Douglas C., 2007. “Pamukkale Carrying Capacity”, TMMOB MÝMARLAR ODASI, Kültürel Mirasın Korunması ve Geliştirilmesi Yeni Tanımlar / Yeni Kavramlar, Yönetim Alanı / Alan Yönetimi / Yönetim Planı Atölye Çalışması, Ankara / Çatalhöyük 27-29 Temmuz 2007. Cowley, A. E., 1920. The Hitites, London. Cumont, Franz, 1956. Mysteries of Mithra, Courier Dover Publications. Cumont, Franz V. M., 1896, 1899, Textes et monuments figurés relatifs aux mysteres de Mithra. 2 vols. Bruxelles: Lamertin. Çoker, Adnan (derleyen), 1983 “Osman Hamdi ve Sanayi-i Nefise Mektebi”, Mimar Sinan Üniversitesi 1983 Yayını, Toplu Sergiler 8, ss: 28-29. Debevoise, Neilson C., 1938. A Political History of Parthia, Chicago, University of Chicago Press. De Faria, D.L.A., Lopes, F.N., 2007, Heated Goethite or Natural Hematite: Can Raman Spectroscopy be used to Differentiate them?, Vibrational Spectroscopy 45 (2007), sf. 117-121. De Faria, D.L.A., Silva, S.V., and de Oliveira, M.T., 1997, Raman Microspectroscopy of Some Iron Oxides and Oxyhydroxides, J. Raman Spectroscopy vol. 28, 1997, sf. 873-878. Dei, L., and Salvadori, B., 2006, Nanotechnology in cultural heritage conservation: nanometric slaked lime saves architectonic and artistic surfaces from decay, Journal of Cultural Heritage, 7, pp.110-115. Diadoros, 1947. Bibliotheka, ed. T.E. page, Loeb, London. Dio, 1954. Historia Romana, ed. E. Cary (Loeb), London. Dörner, F.K. & Naumann, R. 1939. Forschungen in Kommagene, Forschungen Archäologichen Instituts Des Deutschen Reichen, Berlin. Dörner, F. K., 1959. Neue Deutsche Ausgrabungen Im Mittelmeerge-biet und ım Vorderen Orient, Verlag Gebr, Mann, Berlin, ss:71-88. Dörner, F. K., & Goell, T., 1963. Arsameia Nymphaios, Verlag Gebr. Mann, des Mithradates Kallinikos von 1953-1956, Istanbuller Forschungen 23, Verlag Gebr. Mann, Berlin,ss:1-60, 305-307. Dörner, F.K., 1975. Antike Welt: Kommagene, Vontobel-Druck AG, Feld-meilen, ss:89. Dörner, F. K., 1990. Nemrut Dağı’nın Zirvesinde Tanrıların Tahtları. çev.Vural Ülkü. Türk Tarih Kurumu yayınları, Ankara, 1990. Dörner, F.K., 1991. “Nemrut Dağı-1984 Yılına Kadar Yapılan Keşif ve Araştırma tarihi”, Nemrut Dağı- Arkeolojide Yeni Yöntemler, Vestfalya Arkeoloji Müzesi, Vestfalya Münster Müze Müdürlüğü ve Vestfalya-Lippe Bölge Birliği’nce (Bönen-Vestfalya), sf: 19-26. Dörner, Friedrich, Karl & Goell, Theresa, 1963. Arsameia Am Nymphaios, Berlin. Dromgoole, E.L., Walter, L.M., 1990, Iron and Manganese Incorporation into Calcite: Effects of Growth Kinetics, Temperature and Solution Chemistry, Chemical Geoogy, 81 (1990), sf. 311-336. Er, Y., 2004. Arkeoloji Sözlüğü, İstanbul. Erder, Cevat, 2004. “Yabancılara Teslim Edilen Nemrut Dağı”, Bilim ve Ütopya Dergisi, 32-35. Ergüler, Z.A. and Ulusay, R., 2003, A Simple Test and Predictive Models for Assessing Swell Potential of Ankara (Turkey) Clay, Engineering Geology 67, pp.331-352. Erhat, Azra, 1989. Mitoloji Sözlüğü, Remzi Kitabevi, İstanbul. ESEP, 2005. AB destekli GAP Bölgesinde Kültürel Mirası Geliştirme Programı, Güneydoğu Anadolu Kültürel Mirasın Korunması ve Turizmin Geliştirilmesi Planı (ESEP). Farrell, T.A., Marion, J.L., 2002. “Visitor impacts and protected areas management” , Journal of Sustainable Tourism, Vol. 10, No: 1, 2002:31-51. Florus, 1966. Epitome de Tito Livio, ed. E.S. Forster (Loeb), London. Froment, F., Tournié A., and Colomban, P., 2008, Raman Identification of Natural red to Yellow Pigments: Ochre and Iron-containing Ores, J. Raman Spectroscopy 2008, 39, sf. 560-568. GAP-TETGP, 1999. “GAP Bölgesi Turizm Envanteri ve Turizm Geliştirme Planı ve Raporu”, yayınlanmamış plan raporu. Garnsey, P. & Saller, E., 1987. The Roman Empire, Economy, Society and Culture, London. Gezer, Hüseyin, 1984. Cumhuriyet Dönemi Türk Heykeli, Türkiye İş bankası Kültür Yayınları, Ankara, ss: 50-53. Giorgi, R., Dei, L., Baglioni, P., 2000, A New Method for Consolidating Wall Paintings Based on Dispersion, of Lime in Alcohol, Studies in Conservation, 45, pp.154-161. Goell, T., 1952. “Nimrud Dagh”, Archaelogy 5, 136-144. Goell, T., 1961. “Throne Above the Euphrates”, National Geography, 119, no:3, ss: 390-406. Goell, T., 1974. “SamosataArchaelogical Excavations, Turkey 1967”, National Geographic Society Research Reports, ss: 83-109. Goell, T., 1967. “Samosata”, Archaeological Society of Staten Island News Notes 1.2: 1-3. Grant, Frederick Clifton, ed., 1953, Hellenistic Religions: The Age of Syncretism. New York: Liberal Arts press. Gurney, O.R., 2001.The Hittites, çev. Pınar Arpaçay, Ankara. Graetz, H., 1946. History of the Jews . Cilt 6, Rev. Ed. Philedelphia. Griffiths, J, Gwyn, 1992. “Revised Works: Der Kommagenische Mazdaismus by Helmut Waldmann”, Classical Reviews, Vol: 42, No: 2, ss:340-341. Hanesch, M. 2009, Raman Spectroscopy of Iron Oxides and (oxy)Hydroxides at Low Laser Power and Possible Applications in Environmental Magnetic Studies, Geophys. J. Int. (2009); 177, sf. 941-948. Hastings, James, 2004. A Dictionary of Bible, Vol.I, The Minerva Group. Hawkins, J. D., 1975. “Von Kummuh nach Kommagene”, Antike Welte, Sayı: 6, ss:5-10. Hellenkemper, H., 2000. “Kommmagene im Mittelalter, ed. J.Wagner, Göttkönige am Euphrat. Neue Ausgrabungen und Forschungen in Kommagene”. Sonderband AW, ss:115-121. Herodotus, 2002. Herodot Tarihi, çev. Müntekim Gökmen, İş Bankası Yayınları, İstanbul. Hoepfner, W., 2000. “Arsameia am Nymphaios und der Allgötterkult Antiochos I. Schriften, Bilder und Saulen als Zeugnisse spathellenistischer Kultur”, Gottkönige am Euphrat, 56-73. Honigman, Ernst, 1963. “Kommagene”, Paulys Realencyclopadie, supplement IV, cols. 978-90. Reprinted, Stuttgart, Alfred Druckenmüller. Humann, Karl, Puchstein, Otto, 1890. Reisen in Kleinasien und Nordsyrien-ausgeführt im Auftrage der Kgl. Preussischen Akademie der Çissenschaften, beschrieben von Karl Humann and Otto Pucstein (Prusya Kraliyet Akademisinin Görevlendirmesiyle Anadolu’da ve Kuzey Suriye’de Yapılan Geziler. Anlatanlar: Karl Humann ve Otto Pucstein), Verlag von Dietrich Reimer, Berlin. İbn-i Batuta, 1969. Seyahatname-i İbn-i Batuta Matbaa-i Amire, İstanbul. Jalabert, Louis and Mouterdé, René, 1929. Inscriptions grecques et latines de la Syrie, Vol. 1, Commagene et Cyrrhestique, No: 1-251. Paris: Geuther. Jacobs, B., 2000, “Das Heiligtum auf dem Nemrud Daği, Zur Baupolitik des Antiochos I. Von Kommagene und seines Sohnes Mithridates II.”, Gottkönige am Euphrat, 26-35. Jimenez-Gonzalez, I., Rodriguez-Navarro, C., and Scherer, G.W., 2008, Role of Clay Minerals in the Physicomechanical Deterioration of Sandstone, Hournal of Geophysical Research, Vol., 113, F2021, doi: 10.1029/2007JF000845. Josephus, 1961-68. Jewish Antiquites, Ed. L.H. Feldmann, Harvard Un. Press, Cambridge. Justinius , 1842. Historia, ed. J.C. h. von Otto, Jena. Kâhta Province official wab site, 2007. Kınal, Firuzan, 1958. “Kargamış Şehri Tarihi hakkında”, D.T.C.F. 16, 3-4, ss:69 vd. Kökten, Kılıç, 1947. “1945 yılında Türk Tarih Kurumu Adına yapılan Tarih Öncesi Araştırmaları”, Belleten 11/43, ss: 466-471. Köymen, Mehmet, 1979. Büyük Selçuklu İmparatorluğu I, Ankara. Lanas, J., Alvarez, J.I., 2003, Masonry Repair lime-based mortars: Factors affecting the mechanical behaviour, Cement and Concrete Research 33 (2003) 1867-1876. Landsberger, Benno, 1954. “Assyriche Königliste und Dunkles Zeitalter”, JCS 8, ss:31-45. Langlois, Victor, 1867-69. Collection des historiens anciens et modernes de l’Armenie, 2 vols. Paris, Didot. Lieu, S.N.C., 1993. “Revised Works: Der Kommagenische Mazdaismus by Helmut Waldmann”, Bulletin of The School of Oriental and African Studies, Vol: 46, No: 2, ss: 379-380. Lindberg, K., Mc Cool, S. F., (1998). “A critique of environmental carrying capacity as a of managing the effects of tourism development”, Environmental Conservation 25 (4): 291–292. Lopez-Acre, P., Gomez-Villalba, L.S., Pinhp, L., Fernandez-Valle, M.E., Alvarez de Buergo, M., Fort, R., 2010, Influence of Porosity and Relative Humidity on Consolidation of Dolostone with Calcium Hydroxide Nanoparticles: Effectiveness Assessment with Non-destructive Techniques, Material Characterization 61, sf. 168-184. Magie, David, 1950. Roman Rule in Asia Minor, Princeton University Press, Princeton, ss: 344, 377, 512, 513,514, 515, 549, 607. Mansel, A. M., 1945. “Urartu Tarihi ve Medeniyeti”, X. Üniversite Haftası Van, İstanbul, ss:113-116. McCool, S.F., Lime, D.W., (2001). “Tourism Carrying Capacity: Fantasy or Reality?”, Journal of Sustainable Tourism, Vol. 9, No. 5, 2001. Merçil, Erdoğan, 1991. Müslüman Türk Devletleri, Ankara. Merçil, Erdoğan, 1997. “Haçlı Seferleri Sırasında Büyük Selçuklu Devleti’nin Durumu”, Uluslararası Haçlı Seferleri Sempozyumu 23-25 Haziran, 1997, İstanbul, ss:83-91. Mertz, J.D., ve Jeanette, D., 2004, Effect of Water Repellent Treatments on the Hydric Dilatation of Sandstone During Water Capillary Absorption and Drying Stages, Proceedings of the 10th International Congress on Deterioration and Conservation of Stone, Stockholm, June 27- July 2, 2004, Stockholm, sf. 355-362. Metzger, Henri, 1969. The Ancient Civilization of Anatolia II, Barrie&Jenkins, London. Moltke, Helmut, 1999 (3 basım). Moltke’nin Türkiye Mektupları, Çev. H. Örs, Remzi Kitabevi, İstanbul. Monnier, J., Legrand, L, Berlot-Gurlet, L., Foy, E., Reguer, S., Rocca, E., Dillman, P., Neff, D., Mirambet, F., Perrin, S., Guillot, I., 2008, Study of Archaeological Artefacts to Refine the Model of Iron Long-term Indoor Atmospheric Corrosion, Journal of Nuclear Materials, 379 (2008) sf. 105-111. Moore, M.D., and Reynolds, C.R., 1997, X Ray Diffraction and the Identification and Analysis of Clay minerals. Moormann, Eric M.; Versluys, Miguel John, 2002, Babesch Bulletin Antieke Beschaving, Annual Papers on Mediterranean Archaeology, no. 77, Peeters Publishers, Leuven, Belgium. Moormann, Eric M.; Versluys, Miguel John, 2003. Babesch Bulletin Antieke Beschaving, Annual Papers on Mediterranean Archaeology, no. 78, Peeters Publishers, Leuven, Belgium. Moormann, Eric M.; Versluys, Miguel John, 2005. Babesch Bulletin Antieke Beschaving, Annual Papers on Mediterranean Archaeology, no. 80, Peeters Publishers, Leuven, Belgium. Mommsen, Theodore, 1909. The Provinces of the Roman Empire From Caesar to Diocletian, Ares Publishers, Chicago. Naumann, Rudolf, 1955. Architektur Kleinasiens von ihren Anfängen bis zum Ende der hethitischen Zeit, Tübingen, E. Wasmuth. Naumann, R., 1991. Eski Anadolu Mimarlığı, Çev. Beral Madra, TTK Basımevi. NDMP-UDGP, 2002. “Nemrut Dağı Milli Parkı Uzun Devreli Gelişme Planı ve Raporu”, yayınlanmamış plan raporu. Norden, E, 1898 ve 1958 (2. baskı). Die antike Kunstprosa vom VI. Jahrhundert v. Chr. bis in die Zeit der Renaissance. Norden, Eduard, 1898. Die Antike Kunstprosa vom VI. Jahrundert v. Chr. Bis in die Zeit der Renaissance 145, 197 v.d. Oates, Joan, 2004. Babil, çev. F. Çizmeli, Ankara. O’Connor, Colin, 1993. Roman Bridges, Cambridge University Press, Cambridge. Osman Hamdy Bey, Osgan Efendi, 1883, Le Tumulus de Nemrud Dagh, Arkeoloji ve Sanat Yayınları, İstanbul, 1987. Ospitali, F., Smith, D.C., and Lorblanchet, M., 2006, preliminary investigations by Raman microscopy of prehistoric pigments in the wall-painted cave at Roucadour, Quercy, France, J. Raman Spectroscopy 2006, 37, 1063-1071. Özgüç, Nimet, 1985. “Samsat 1984 yılı Kazıları”, VII. Kazı Sonuçları Toplantısı, ss:221-227. Özel, Emin M, Saygaç, A. Talat, 2004. Gökyüzünü Tanıyalım, TÜBİTAK Popüler Bilim Kitapları, Ankara, ss 212-214. Özerler Mühendislik, 2007, Güneydoğu Anadolu Projesi kapsamındaki 1/5000 ve 1/2000 Ölçekli Nemrut Haritaları. Paksoy, İ. Günay 1993: “Bazı Belgeler Işığında Osmanlı Devleti’nin Kültür Mirası Politikası Üzerine Düşünceler”, Osman Hamdi Bey ve Dönemi Sempozyumu, 17-18 Aralık1992, Tarih Vakfı Yurt Yayınları, Altan Matbaası, İstanbul. Perinçek, D. ve Kozlu, H., 1983. Stratigraphy and structural relations of the units in the Afşin-Elbistan-Doğanşar region (Eastern Taurus) In Tekeli, O. And Göncüoğlu, M.C. (eds), Geology of the Taurus Belt. Ankara-Turkey, 181- 197. Plutarkhos, 1959. Bioi Paralleloi. Ed. B. Perrin (Loeb), London. Pritchard, J.B., 1969. Ancient Near Eastern Texts Relating To the Old Testament, Princeton. Redgate, A., 2000. Armenians, Blackwell Publishing. RILEM, 1980, Tentative Recommendations, Comission –25-PEM, Recommended Tests to Measure the Deterioration of Stone and to Assess the Effectiveness of Treatment Methods, Materiaux and Construction, Vol. 13, No. 73, sf. 173-253. RILEM, 1980, Recommended tests to measure the deterioration of stone and to assess the effectiveness of treatment methods, Commission 25-PEM, Material and Structures, Vol.13, pp.175-253. Pope, Arthur Upham, 1967. A Survey of Persian Art from Prehistoric Times to the Present. 2d rev. Ed. 14 vols. London, Oxford University Press. Riemschneider, 1954. Die Welt der Hethiter, Klipper, Stutgard. Rice, John & Wallace, Hadrill, 2000. Antik Dünyada Kırsal ve Kent, çev. Lale Özgenel, İstanbul. Roesch, K., 1975. “Kommagene-das Land ubi ferrum Nascitur”, AW6, ss:15-17. SANDERS , D.H., 1996. Nemrud Dagı The Hierothesion of Antiochos I of Commagene, Volume I-II, Indiana Eisenbrauns, Winona Lake 1996. Sarıgöllü, Ayşe, 1971. Roma Edebiyatı Tarihi, DTCF Yayınları, Ankara. Sasse, H.R. and Snethlage, R., 1997, Methods fort he Evaluation of Stone Conservation Treatments, Saving our Architectural Heritage, ed. By N.R. Baer and R. Snethlage, John Wiley&Sons, Berlin, pp.223-243. Saygaç A. T.,Şahin Güçhan, N., Kabasakal Coutıgnıes, S., 2008. “Nemrut Dağındaki Aslanlı Horoskop”, Prof. Dr. Erdal İnönü OnurunaXVI. Ulusal Astronomi Kongresi ve V. Ulusal Öğrenci Astronomi Kongresi, 8-12 Eylül 2008, Der. Demircan, O., Erdem, A., Soydugan, F., Bakış, V., Ulaş, B.,, Çanakkale 18 Mart Üniversitesi Yayınları, No: 37, Cilt II-7b, sf. 1323-1327. Scherer, G.W., 1997, Effect of Drying on Properties of Silica Gel, Journal of Non-Crystalline Solids, 215 (1997), sf. 155-168. Scherer, G.W, 1999, Structure and Properties of Gels, Cement and Concrete Research 29 (1999), 1149-1157. Sevim, Ali, 1988. Anadolu’nun Fethi Selçuklular Dönemi (Başlangıçtan 1086’ya Kadar), Ankara. Shipley, Graham, 2000. The Greek World After Alexander, 323-30 B.C., Routledge, U.K.
Sitzungsberchte (Oturum raporları) Berlin 1882, 845 ve 1883, 29. Smallwood, M., 2001. The Jews Under Roman Rule: From Pompey to Diocletian: A Study inPolitical, Relations Brill Academic Publishers. Snethlage, R., and Wendler, E., 1996, Moisture Cycles and Sandstone Degradation, Saving our Architectural Heriatge: The Conservation of Historic Stone Structures. N.S. Baer and R. Snethlage, Eds., John Wiley & Sons Ltd., Chichester, sf. 7-24. Somuncu, M., Yiğit, T., Şahin Güçhan, N., Kabasakal, S., 2009. “Nemrut Dağı”, Türkiye’nin dünya miras alanlari: koruma ve yönetimde güncel durum, UNSECO, Türkiye Milli Komisyonu, Ankara, sf. 72-109. Somuncu, M., Aslan, R., Bölükbaşı-Ertürk, E., Çörtük, U., Şahin Güçhan, N., Gürkan, M., KABASAKAL COUGNITES, S., KILIÇÇÖTE, C., ŞENYURT, Y., YİĞİT, T., YOLDAŞ, A., 2008. Türkiye’deki Dünya Miras Alanlarının Güncel Durumlarının Saptanması Raporu: NEMRUT DAĞI”, Ed. A.D. ÖZGER-BAYVAS, Ekim 2006 – Nisan 2008, UNESCO Türkiye Milli Komisyonu, Kültürel Miras İhtisas Komitesi. 18-20 Nisan 2008, İstanbul. Somuncu, M, Yiğit, T., Şahin Güçhan, N., Kabasakal Cougnıtes, S., 2007. “Türkiye’deki Dünya Miras Alanlarının Güncel Durumlarının Saptanması Raporu: NEMRUT DAĞI”, UNESCO Türkiye Milli Komisyonu, Kültürel Miras İhtisas Komitesi, 78 sayfa, Temmuz 2007. Strabon, 1993. Antik Anadolu Coğrafyası, Arkeoloji ve Sanat Yayınları, İstanbul, çev. Adnan Pekman, ss:1, 3, 190, 211. Sullivan, R. D., 1975. “Die Stellung der Kommagenischen Königdynastie in den Herrscherfamilien der Hellenistischen Staatenwelt”, AW 6, ss:31-46. Suetonius, 1975. De Vita Caesarum, ed. Ailloud, Paris. Summers, G. & D. & French, D., 1991. “1990 Adıyaman Yüzey Araştırması”, IX. Araştırma Sonuçları Toplantısı, ss: 505-522. Syme, Ronald, 1995. Anatolica: Studies in Strabo, Oxford Univercity Press, Oxford. Şahin Güçhan, N., 2014. “Conservation of relationship between “place” and “context”: Commagene Nemrut Conservation Development Programme”, Heritage in Context, DAI & KOÇ University, İstanbul, pp: 287-316.Şahin Güçhan, N., 2014. “Kommagene Nemrut Koruma ve Geliştirme Programı”, Türkiye Dünya Miras Alanlarında Yönetim Planı Hazırlıkları Deneyim Paylaşımı Çalıştayı, 25-26 Mayıs 2012 Bursa, UNESCO Türkiye Milli Komisyonu, Bursa, in print. Şahin Güçhan, N., 2013. “Nemrut Dağ” in: Unesco World Heritage in Turkey, Eds: G. Çulcuoğlu, Y. Erkan, Ö. Karakul, UNESCO & Turkish National Commission for UNESCO, Grafiker LtD., Ankara, pp:128-159. Şahin Güçhan, N., 2011a. Keynote speaker: “Conservation of relationship between place and context: Mount Nemrut Tumulus”, in Book of Conference Abstracts: BHCICOP-The 4th International Conference on Hazards and Modern Heritage: The Importance of Place, 13 – 16 June, 2011, Sarajevo, pp:151-167. Şahin Güçhan, N., 2011b. “The Commagene Nemrut Conservation and Development Program: An Approach to the Conservation Problem of Nemrut Dağ Tumulus”, in: E. Winter (ed. ), Von Kummuh nach Telouch. Archäologische und Historische Untersuchungen in Kommagene. Dolichener und Kommagenische Forschungen IV. Asia Minor Studien 64, Bonn 2011, pp. 309-339. Şahin Güçhan, N., 2011c. “ODTÜ Nemrut Dağı Tümülüsü’nün korunması için Çalışıyor”, ODTÜ’lü Dergisi, No 8/ 46-50, 2011. Şahin Güçhan, N., 2011f. Davetli Katılımcı, “Yer ve bağlam ilişkisinin korunması: Nemrut Dağı Tümülüsü ve Kommagene Nemrut Koruma Geliştirme Programı”, Koruma ve Peyzaj Mimarlığı Sempozyumu, TMMOB Peyzaj Mimarları Odası, 12-13 Mayıs 2011, Korza Yay.& Basım, Ankara, sf:174-186. Şahin Güçhan, N., 2010a. “Adıyaman’daki Kültür Varlıklarının Nemrut Dağı Odaklı Değerlendirilmesi: Kommagene Nemrut Koruma Geliştirme Programı (KNKGP)”, II. Ulusal Medeniyetler Kavşağı Adıyaman Sempozyumu, Ed. S. Öztürk, Y: Tosun, Adıyamanlılar Vakfı, pp. 29-62. Şahin Güçhan, N., 2010b. 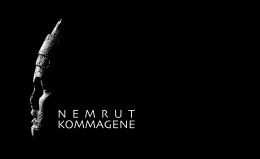 “Nemrut Dağı Tümülüsü Çevre Düzenleme Avan Projesi”, II. Ulusal Medeniyetler Kavşağı Adıyaman Sempozyumu, Ed. S. Öztürk, Y: Tosun, Adıyamanlılar Vakfı, 63-111, 2010. Şahin Güçhan, N., 2010c. “Nemrut Dağı Tümülüsü’nün Çağdaş Sunumu ve Yönetimi için bir Tasarı: Adıyaman Hizmet Evi”, II. Ulusal Medeniyetler Kavşağı Adıyaman Sempozyumu, Ed. S. Öztürk, Y: Tosun, Adıyamanlılar Vakfı, 112-138, 2010. Şahin Güçhan, N., 2008. “Nemrut Dağı’nda Deneysel Uygulamalar”, Aktüel Arkeoloji Dergisi, Sayı 8, Yıl 2008. Şahin Güçhan, N., 2008. A presentation on “Nemrut Dağı”, Dünya Miras Alanları Değerlendirme Çalıştayı, UNESCO Türkiye Milli Komisyonu, KOÇ University-MED Center, Kültürel Miras İhtisas Komitesi, 18 Nisan 2008, İstanbul. Şahin Güçhan, N., Kabasakal Coutignies, S., 2007a. “KNKGP- Nemrut Dağı Tümülüsü ve Anıtları Araştırma Arşiv oluşturma, belgeleme ve 1/200 ölçekli Çevre Düzenleme Avan Projesi Üretimi ve Uygulama Projesi Teknik İhale Dökümanı Hazırlanması Projesi Raporu”, ODTÜ-KNKGP, 704 sayfa, yayınlanmamış rapor. Şahin, Sencer, 1988. “Nemrut-Dağ’a Yapılan Bir Keşif Seyahati ve Sonuçları”, VI. Araştırma Sonuçları Toplantısı, ss:11-15. Şahin, Sencer, 1991b. “Forschungen in Kommagene II: topographie”, Epigraphica Anatolica 18, ss:110-115. Şahin, Sencer, 1992. “Nemrut-Dağ Jeofizik Ölçümlerinin Arkeolojik Acıdan Değerlendirilmesi”, X. Araştırma Sonuçları Toplantısı, ss:121-133. Şahin, Sencer, 1998a. Tanrılar Dağı Nemrut, “Nemrut Dağı Tapınak Mezarındaki Büyük Kült Yazıtı Çevirisi”, Arkeoloji ve Sanat Yayınları, İstanbul, ss: 30-35. Şahin, Sencer, 1998b. “Tanrılar Dağı Nemrut, Kommagene Ülkesi ve Tanrılar Tahtı Nemrut Dağ”, Arkeoloji ve Sanat Yayınları, İstanbul, ss: 36-44. Şahin, Sencer, 2004. “Sahipsiz Kültür Mirasımız Nemrud Dağ”, Bilim ve Ütopya, s:26-31. Şeşen, Ramazan, 1997. “Haçlı Seferleri Sırasında Güneydoğu Anadolu Bölgesinin Siyasal ve Sosyal Durumu”, Uluslararası Haçlı Seferleri Sempozyumu 23-25 Haziran, 1997, ss:33-44. T.C. Bayındırlık ve İskân Bakanlığı, 1996, Deprem Bölgeleri Haritası. Tarn, William, W., ve Griffith, G. T., 1967, Hellenistic Civilisation. 3d ed. Reprinted, Cleveland: World Publishing Co. (1st ed., 1927). Taştemir, Mehmet, 1994. XVI. yüzyılda, Adıyaman, Behisni, Hısn-ı Mansur Gerger ve Kahta kazalarının Sosyal ve İktisadi durumu , Türk Tarih Kurumu Yayınları, Ankara. Thalasso, Adolphe, 1906. Les Premiers Salon de Peinture de Constantinople, Paris, s: IV, XI, XIII. Tiano, P., Cantisani, E., Sutherland, I., Paget, J.M., 2006, Biomediated Reinforcement of Weathered Calcareous Stones, Journal of Cultural Heritage, 7, sf. 49-55. TPAO, 2007, Türkiye Petrolleri Anonim Ortaklığı 1/50000 Ölçekli Nemrut Jeoloji Haritası. Turer, A., Aktas, Y.D., Sahin Guchan, N., 2009. Structural stability evaluation of Nemrut Monuments. "INTERNATIONAL SYMPOSIUM ON HISTORICAL EARTHQUAKES AND CONSERVATION OF MONUMENTS AND SITES IN THE EAS", (2009). Tuna, D., 1973, VI. Bölge litostratigrafi birimleri adlamasının açıklayıcı raporu, TPAO. Rapor no. 813, 13s., Ankara (yayınlanmamış). Tuman, Vladimir, 1984. “The Tomb of Antiochus Revisited: Planetary Alignements and the Deification of the King”, Archaeoastronomy 7. 1-4, ss: 56-69. Turan, Osman, 1984. Selçuklular Zamanında Türkiye Tarihi, Ankara. Turan, Osman, 1993. Doğu Anadolu’daki Türk Devletleri Tarihi, İstanbul. Türer, A., Aktaş Erdem, Y. D., Şahin Güçhan, N., 2012. “Reverse Engineering Evaluation and Monitoring of Nemrut Monuments”, International Journal of Architectural Heritage, forthcoming article. TS EN 1062, 7783, 1996, Boyalar ve Vernikler-Kargir ve Beton Dış Cephe için Kaplama Malzemeleri ve Kaplama Sistemleri-Bölüm 2: Su Buharı Aktarım Hızının (Geçirgenliğinin) Tayini ve Sınıflandırması. Tuna, D., 1973, VI. Bölge Litostratigrafi Birimleri Adlamasının Açıklayıcı Raporu, TPAO. Rapor no. 813, sf. 13., Ankara (yayınlanmamış). Tuncoku S.S, Caner Saltık E.N., Böke H., 1993, Definition of the Materials and Related Problems of a 13th Century Anatolian Seljuk Mescid: A Case Study in Konya City, Conservation of Stone and Other Materials, Proceedings of the International RILEM/UNESCO Congress. Uzunçarşılı, İ. H., 1984. Anadolu Beylikleri ve Akkoyunlu, Karakoyunlu Devletleri, Ankara. Wagner, Jörg, 1975. “Die Römer am Euphrat”, Antike Welt, 68-85. Wagner, Jörg, 2000. Gottkonige am Euphrat: neue Ausgrabungen und Forschungen in Kommagene, Verlag Philipp von Zabern, Rhein, ss:138. Wisemann, D. J., 1991. “Babylonia, 605-550”, CAH III-2, ss:229-230. Wendler, E.., Charola, A.E. and.Fitzner B; 1996, Easter Island Tuff – Laboratory Studies for their consolidation of the Moai Studies. In: Deterioration and Conservation of Stone Proc. Of 8th Intl. Congress, 1159-1170, Berlin. Wendler, E., 1996, New Materials and Approaches for the Conservation of Stone, In: Saving our Architectural Heriatge: The Conservation of Historic Stone Structures. N.S. Baer and R. Snethlage, Eds., John Wiley & Sons Ltd., Chichester, sf. 181-196. Worl Monuments Fund, 2001. “2001 Report”: 35. Xenophon, 1939. Anabasis, çev. H. Örs, Remzi Kitabevi, İstanbul. Vergau, Hans-Joachim, 1991. “Sunuş”, Nemrut Dağı-Arkeolojide Yeni Yöntemler Sergisi kitapçığı, 1991. Vestfalya Arkeoloji Müzesi, Vestfalya Münster Müze Müdürlüğü ve Vestfalya-Lippe Bölge Birliği’nce (Bönen-Vestfalya), sf. 4. Velleius Paterculus, 1955. Historia Romanae Libri Duo, ed. W.Shipley (Loeb), London. Von Nettesheim, Heinrich, C. A., 1994. The Books of Occult Philolosophy, Llewelyn Worldwide. Yıldız, H.D., 1976. İslamiyet ve Türkler, İstanbul. Yukselen, Y. and Kaya, A., 2008, Suitability of the methylene blue test for surface area, ation exchange capacity and swell potential determination of clayey soils, Engineering Geology 102, sf. 38-45. Babil’in Asma Bahçeleri, www.wikipedia.org.tr (Access date: 05.01.2007). Tevrat, www.kutsal-kitap.net/bible (Access date: 01.03.2007). http://www.kultur.gov.tr/YATIRIMLAR/BelgeGoster.aspx?F6E10F8892433CFF03077CA1048A1834B6D479D48BC9DBA7, Access date: Temmuz 2006.